Fantastic, bizarre and surprisingly funny! “Colossal” departs from a love story to a disaster movie with fateful consequences in other latitudes - Seoul, South Korea for instance. When humanity creates monsters who destroy cities and kill innocents, heroes must rise to fight the supernatural evil. 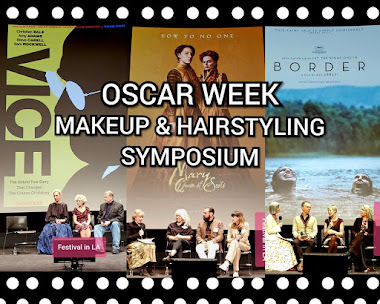 Anne Hathaway, out of her memorable Oscar©-winning performance in “Les Misérables” and away from the glamour of “The Devil Wears Prada” is unrecognizable. She transforms herself now into this crazy alcoholic New Yorker. Fired from her job and dumped by her immature boyfriend, Dan Stevens ("Downtown Abby" and “Beauty and the Beast”), Gloria seeks refuge in her small hometown located in the middle of nowhere. In there, she is going to be rescued by a mature guy named Oscar, wonderfully played by Jason Sudeikis (“Horrible Bosses,” “Drinking Buddies”). Jason’s character starts as the likable guy, the owner of a bar who offers her a job as a waitress and who cares for her. All because he still has a crush on her since elementary school. Jealousy and bad memories become their greatest enemy in their nonexistent love story. Sudeikis is terrific playing the insane! Anne Hathaway is remarkable as a comedienne. Her clumsiness raises the bar for this performance. In actuality, she was five months pregnant when the production started. As Gloria tries to sober herself up, she realizes that she has control of another being bigger than herself - far away from her tiny, little, crazy universe. 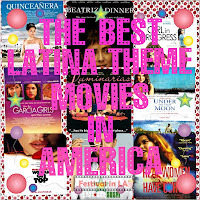 Gloria must put herself together to save the World! When Oscar learns Gloria's secret, he gets mad and loses control of himself by becoming another monster. The eternal battle between women and men begins. 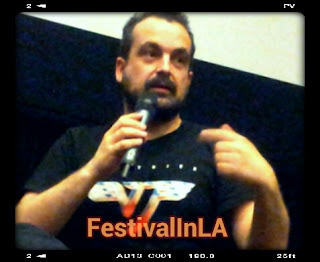 Nacho Vigalondo. 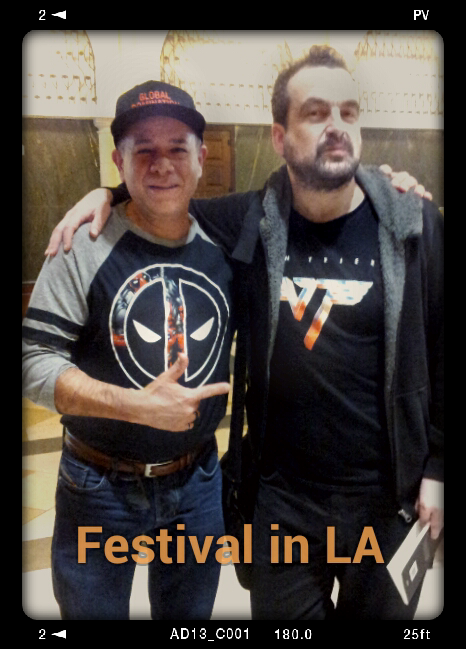 Photo by Jose Hermosillo. 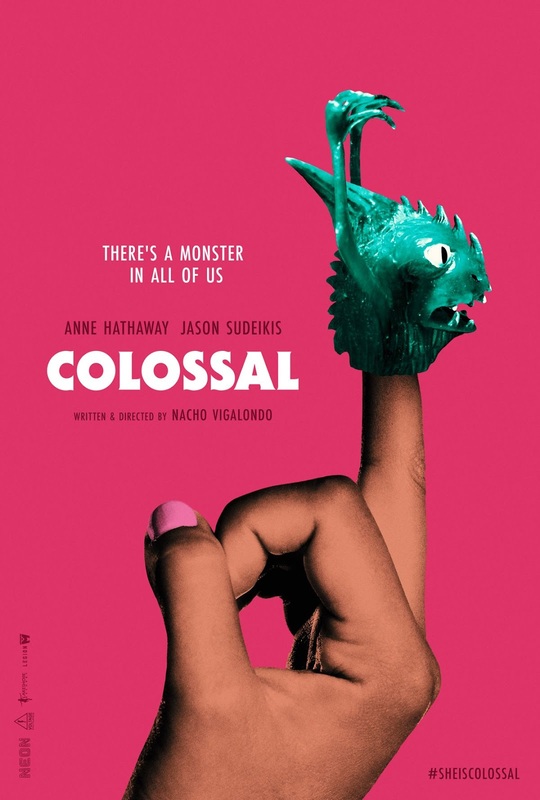 After “Cronocrimes/Los Cronocrimenes (2007)” turned into a big hit in the international festival circuit, the visionary Spanish director Nacho Vigalondo, in “Colossal,” intelligently mixed adventure, drama, disaster, science-fiction, and a monster movie with dark comedy. 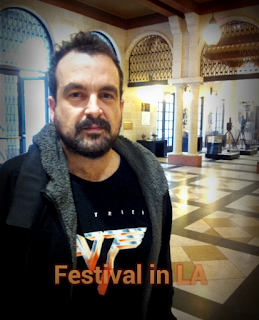 Funny, humble and unconventional, Vigalondo is a creative director. He changes the rules of the game by altering the stereotypes of his odd characters. He is resourcefully twisting the outcome of every scene. Furthermore, he is very passionate about his craft. For example, the monsters in his film are creatures with no gender. He is changing the signals send by that kind of movies. 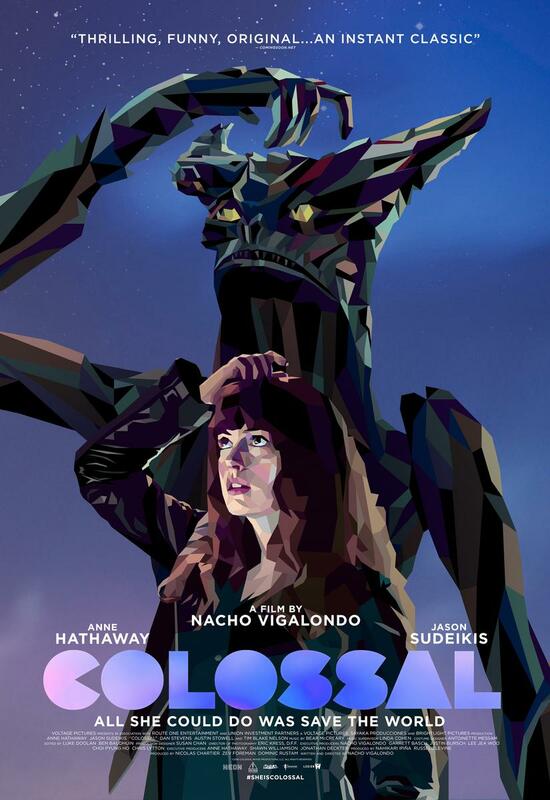 The level of production and budget in “Colossal” was significant for the standards he was usually worked with. Yet, he was surprised that his producers wanted more special effects and more action sequences with no worries about money. He was given total creative freedom for his first film in English lingo. 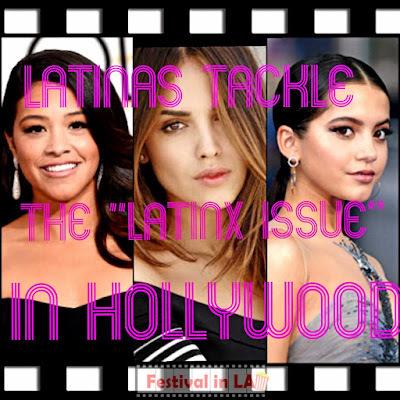 Nacho, politically correct, said, "This movie is open to interpretation, and it doesn’t push any particular agenda." He feels that movies are a product of their time. In this film, he chose to set part of his narrative in South Korea because the two stories have to be as divergent and as far away as possible from each other. “An explosion in Paris is more dramatic than in Syria because humanity tends to minimize one culture over another,” he said. Technically, “Colossal” contains odd moments, dark cinematography, and rough transitions that can confuse the audience, but all is good. People will wonder about whether the human species will be destroyed or triumph over the evil forces as in a tragicomedy.